Personally, I’m a Sacramento Kings fan. But when your parents, who are Golden State Warriors fans, are celebrating their 65th anniversary, you just have to drive down to Oracle Arena in Oakland and cheer for the Warriors! 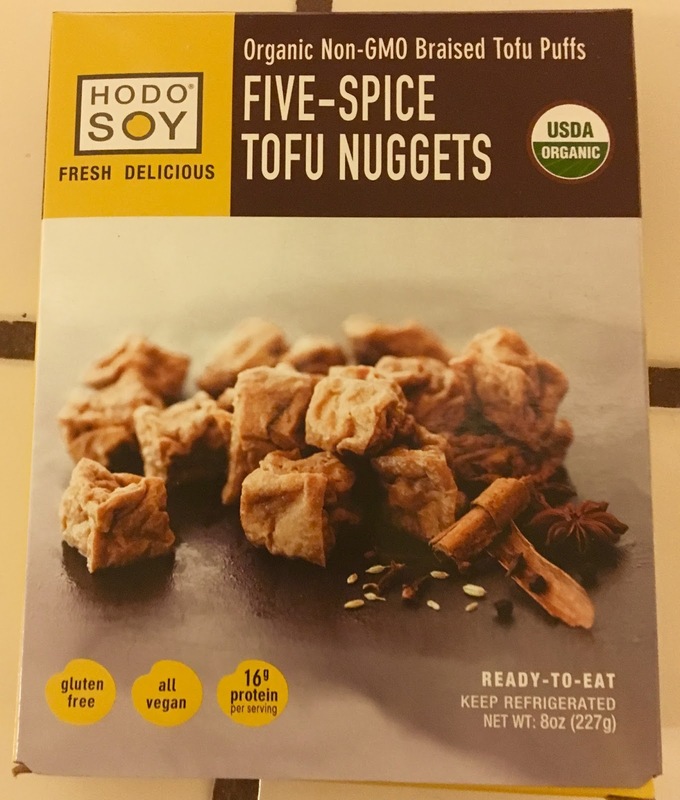 I don’t know what your experience has been, but I always find it difficult to locate vegan options among all the food concessions at ball parks and arenas. So I decided to do a little online research before heading to Oracle Arena over the weekend. I found a 2013 blog post from People for the Ethical Treatment of Animals (PETA), which listed Oracle as one of the top ten vegetarian-friendly NBA arenas. Well, maybe, but that doesn’t mean it’s easy to find the food items they listed in the blog post, since they don’t say which concessions actually offer these vegan dishes. 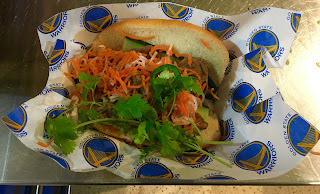 After comparing the items mentioned in the blog with the food maps on the arena’s website, I decided that I had a reasonably good chance of finding the “Vietnamese ginger-garlic tofu sandwich” at the banh mi sandwich cart near Section 122. And that’s exactly where it was! It was a good, hearty sandwich, and they certainly didn’t skimp on the tofu. 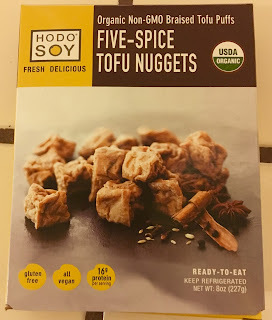 I can’t swear to it, but I think they used Hodo Soy Five-Spice Tofu Nuggets, which I keep in my refrigerator for snacking purposes. The PETA blog post said tofu lettuce wraps and a Vietnamese noodle salad were also available at Oracle, but I couldn’t begin to guess which concession stands would have those items. There’s a Kaiser Permanente Healthy Picks stand too, which carries pre-packaged salads, but I didn’t think anything there would be as interesting as the tofu banh mi, so I didn’t check it out. If you’re interested, though, the map says it’s near Section 127. Maybe we can help each other out here. If you’re aware of other vegan options at Oracle Arena, please list them in the comments section so that other vegans will be able to find something to eat while they cheer on their favorite team or watch their favorite performance artists. They’ll be glad you did!